Welcome to another edition of Mailbox Monday! This is a feature where we all share what yummy books were added our Mt. TBR's this past week. I'm on a roll and had another super week - 3 delicious ARCs showed up and I hit the motherload at a library sale!! What about you? From a talented new author comes a poignant and haunting novel of creation and desire, passion and madness, art and love. A young prostitute seeking temporary refuge from the brothel, Rachel awakens in a beautiful garden in Arles to discover she is being sketched by a red-haired man in a yellow straw hat. This is no ordinary artist but the eccentric painter Vincent van Gogh—and their meeting marks the beginning of a remarkable relationship. He arrives at their first assignation at No. 1, Rue du Bout d'Arles, with a bouquet of wildflowers and a request to paint her—and before long, a deep, intense attachment grows between Rachel and the gifted, tormented soul. But the sanctuary Rachel seeks from her own troubled past cannot be found here, for demons war within Vincent's heart and mind. And one shocking act will expose the harsh, inescapable truth about the artist she has grown to love more than life. In this resplendent love story a dazzling era comes vividly to life as one woman's passionate struggle to follow her heart takes her from the opulent cotillions of Edinburgh to the London court of half-mad King George III . . . from a famed salon teeming with politicians and poets to a picturesque castle on the secluded, lush Island of the Swans. . . .
Best friends in childhood, Jane Maxwell and Thomas Fraser wreaked havoc on the cobbled streets of Edinburgh with their juvenile pranks. But years later, when Jane blossoms into a beautiful woman, her feelings for Thomas push beyond the borders of friendship, and he becomes the only man she wants. When Thomas is reportedly killed in the American colonies, the handsome, charismatic Alexander, Duke of Gordon, appeals to a devastated Jane. Believing Thomas is gone forever, Jane hesitantly responds to the Duke, whose passion ignites her blood, even as she rebels at his fierce desire to claim her. But Thomas Fraser is not dead, and when he returns to find his beloved Jane betrothed to another, he refuses to accept the heartbreaking turn of events. Soon Jane's marriage is swept into a turbulent dance of tender wooing and clashing wills--as Alex seeks truly to make her his, and his alone. Island of the Swans sounds really good! :) Nice pile of books you've got there. 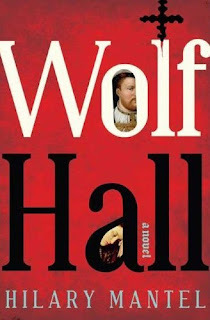 I've seen so much talk about Wolf Hall! Now that I know what it is about, I'm going to have to look into it. Now as far as that Library Loot goes, does that mean you plan on reading all those books in three weeks? Plan on sleeping? Particularly Bloody Mary. I have the bio on her by Prescott, but it looks so.. big... I just worry about getting bored halfway through. But I definitely want to read a bio on her, since I can't seem to think of her in a favorable light. Ooh, nice haul you finally got Legacy. All of these look great! I am really anxious to hear what you think of Wolf Hall and will be checking back to see your review. Enjoy your new reads! Wow - a great haul. I love library sales - sometimes you can find the best stuff. 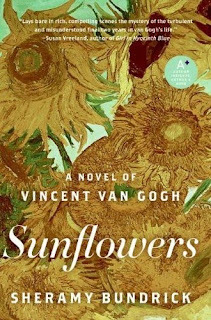 The Van Gogh book sounds very intriguing - I always was interested in his works. I enjoyed Legacy...was so glad to snag a copy off Paperbackswap. Ok, now I've got three more books to add to my wish list. :) The books you got in the mail all look great! You always get the best books Amy. Enjoy! Holy cow. Happy reading, miss thing!